Toronto’s parks face a maintenance backlog of $295 million in 2014. That number is expected to grow to some $360 million by 2018. That’s a lot of broken benches, crumbling pathways, and cracked tennis courts. While money for buying and building new parks can come from levies on development, maintenance funding cannot. Seattle is also facing a big maintenance backlog—in the ballpark of $270 million. So what’s their solution? The mayor, Ed Murray, is supporting a proposal for a new metropolitan park district that will levy a—hold onto your hats—property tax. This proposal is different than a “park improvement district,” which some cities have created to fund specific parks by levying a tax on businesses and sometimes residential properties in the immediate vicinity of the park. 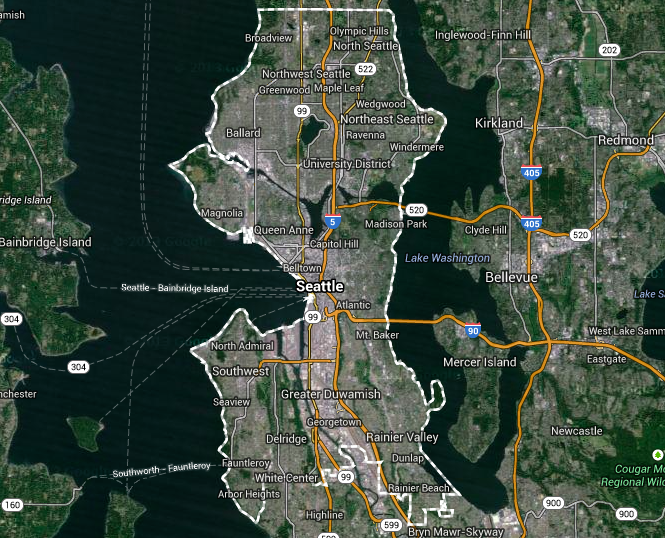 Seattle’s park district would mirror the boundaries of the City of Seattle and would start with a levy of 42 cents per $1,000 of assessed home value. So a house assessed at $400,000 would pay $14 more a month, or about 50 cents a day. This would raise $54 million per year. The bulk of this money would go for maintenance and upkeep, but some would be set aside for programming for disadvantaged populations, funding for park partnerships to activate the city’s downtown parks, creating new parks on city-owned land, and increasing hours for and improving community centres. But who wants any of those things, right? The creation of the park district creates an on-going, stable, and dedicated revenue source for the city’s parks. Many politicians stammer when asked about property taxes, but the reality is, especially for Canadian cities, it’s the major revenue tool they’ve been given. Could Toronto use something like this? To put into context: $54 million represents a full third of the $168 million in the 2014 capital budget for Parks, Forestry and Recreation and $7.5 million more than the city is spending on the state of good repair backlog for parks and recreation in 2014.